Sociologist and historian, Richard Teese has made major contributions to our knowledge of education systems, to public policy, and to the wider diffusion of knowledge about how well our schools work and for whom. He pioneered the social analysis of curriculum access and achievement in school systems across Australia. Using examinations data for each Australia state, he mapped the links between who studied what subjects, how well they achieved, and their social origins and gender. This work formed the basis of his theory of structural inequality, elaborated in Academic Success and Social Power. The social history of upper secondary education took a new turn through Teese’s study of fifty years of curriculum change in English, mathematics, chemistry and languages. He examined the nature of the cognitive and cultural demands of these subjects, which groups of students satisfied their demands, why them and how. He is one of the first Australian scholars to measure social progress in school systems. He developed metrics for assessing the impact of schooling, first in Undemocratic Schooling and later in For the Common Weal. Applying these measures, he was able to show the contribution of the public high school system to the economic well-being of the Victorian community. Richard Teese designed and implemented the most comprehensive destinations survey of school leavers ever undertaken in Australia. He was the architect of the On Track survey program, starting in Victoria in 2003 and later extending to Queensland (in the Next Step program). This survey gathered data on the education, training and employment destinations of all young people exiting school, analysed the links between destinations, academic achievement and socio-economic status, and provided transition reports to every school. It enabled schools to reliably measure what was happening to their students on exit and to adjust curriculum, teaching and counselling to improve outcomes. School funding is another area of policy research in which Teese has played a major role. His work on the innovative Student Resource Package for Victorian government schools helped shift the emphasis of funding from inputs to outputs, giving schools greater flexibility in the use of their resources and focussing attention on student achievement. He led the development of a new funding model for public schools in Western Australia, which is now in the process of implementation. 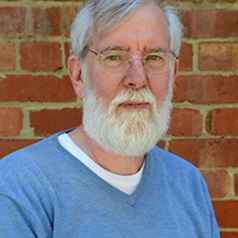 At a national level, Richard Teese’s work on school funding helped strengthen the case for reform by examining how well government schools performed relative to non-government schools, whom they served, and the trend to a growing social division in the use of public and private schools. From opportunity to outcomes (2011) was commissioned by state education departments as part of the Gonski review and attracted wide attention at the time of its (unauthorized) release. Recognized internationally for his research on equity, he was invited by the OECD to lead reviews of the school systems of Spain (2005), Scotland (2007) and Ontario (2010). In 2014, he was one of two international experts appointed to review school funding in Flanders. He has written extensively on Catholic education in France. In recognition of his scholarly work, Teese was awarded the Woodward Medal for Humanities in 2002. In 2003, he received a Centenary Medal for research services to government and in 2010 the Minister's Award for Significant Contributions to Victorian Education. Richard’s books include For the Common Weal. The Public High School in Victoria 1910-2010 (2015), Academic Success and Social Power: Examinations and Inequality (2 editions, 2013, 2000), Quality and Equity of Schooling in Scotland (2007), Undemocratic Schooling (2003), Who wins at school? Girls and Boys in Australian Secondary Education (1995), Equity Outcomes (1993); co-editor of International Studies in Educational Inequality, Theory and Policy (in 3 vols) (2007), contributing editor of School dropout and completion: International comparative studies in theory and policy (2011). He is the English translator of Bourdieu’s Academic Discourse (1994).